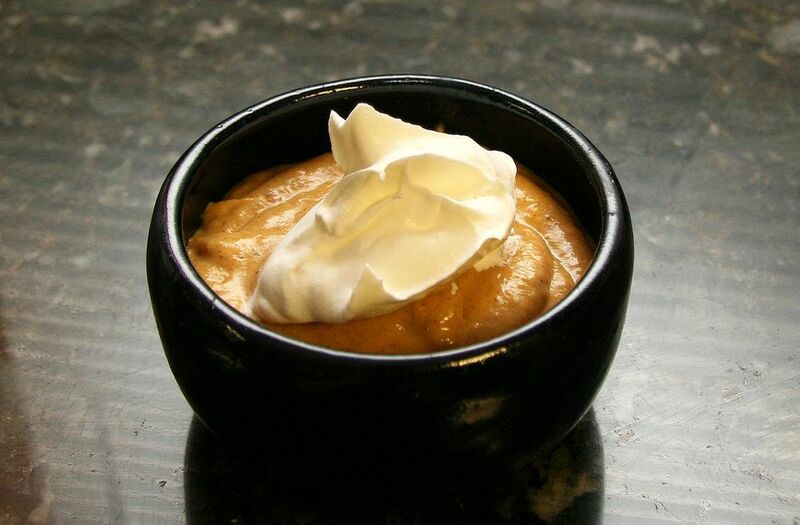 This crock pot pumpkin pudding is super easy, and pumpkin pie spice and vanilla flavor it perfectly. It's like a pumpkin pie without the crust. Top servings off with a scoop of freshly whipped cream or thawed whipped topping. Sprinkle cinnamon sugar or vanilla sugar over the whipped cream. Spray the slow cooker crock with non-stick spray or lightly oil the inside. In a mixing bowl with an electric mixer on low, combine Using an electric hand-held mixer at low to medium speed, beat ingredients together until smooth. Pour the mixture into the prepared crockpot. Cover and cook on Low 6 to 8 hours, or cook on High 3 to 4 hours. Spoon into cups and top with whipped topping or a lightly spiced whipped cream. Homemade Pumpkin Pie Spice: Combine 2 teaspoons of cinnamon with 1 teaspoon of ground ginger, 1/2 teaspoon of ground allspice, and 1/2 teaspoon of ground nutmeg. Makes about 4 teaspoons. Substitute for biscuit baking mix: Combine 1/2 cup of flour with 3/4 teaspoon of baking powder, and a pinch of salt. Cinnamon Sugar: Combine 2 tablespoons of granulated sugar with 1/2 teaspoon of ground cinnamon.